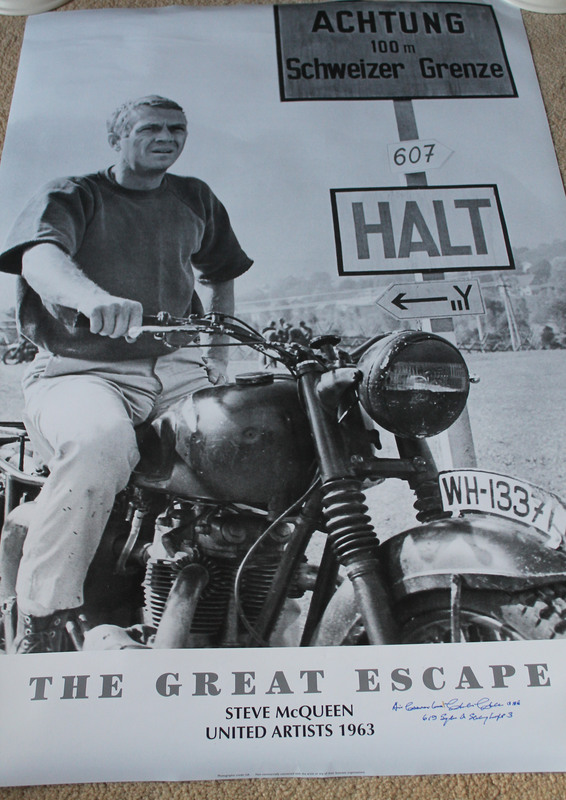 Steve McQueen: The Great Escape (maxi poster), signed by Stalag Luft III Veteran. Classic Steve McQueen “Great Escape” Poster signed by Air Commodore C Clarke OBE. Charles Clarke was shot down over Germany and imprisoned in the camp from which 76 prisoners tunnelled out in the “Great Escape”. He later took part in the “Long March” of British PoWs who were ordered to move great distances across Germany in the last months of the Third Reich. After the war, he stayed in the RAF, reaching the rank of Air Commodore.